TITUSVILLE, Florida - At approximately 9:30 p.m. on Monday, March 27, 2017, Titusville Police responded to a report of a traffic crash with injuries involving a pedestrian and a vehicle. Investigators say that a man walked into oncoming traffic of the southbound lane at the 5200 block of South Washington Avenue and was struck by a 2015 Dodge Ram truck driven by 52-year-old David Andrew Utecht of Rockledge, Florida. The pedestrian was transported to a local hospital and pronounced deceased at approximately 11:00 p.m.
Utecht and his two passengers were not injured in the crash. 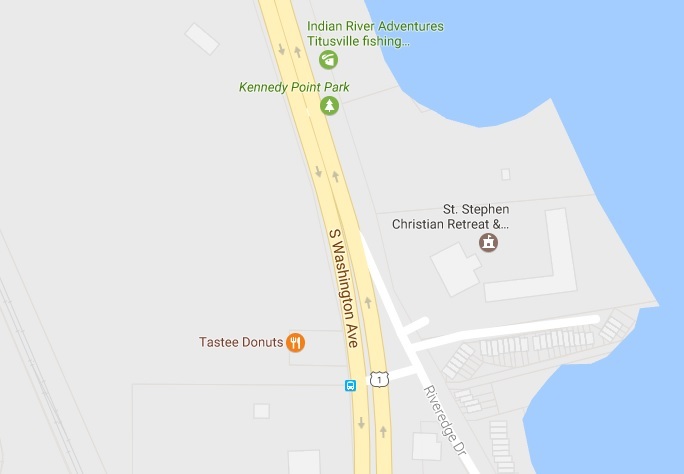 All southbound lanes of U.S.1 (South Washington Avenue) were closed at Riveredge Drive and South Washington Avenue for approximately three hours. The lanes have since re-opened to traffic.